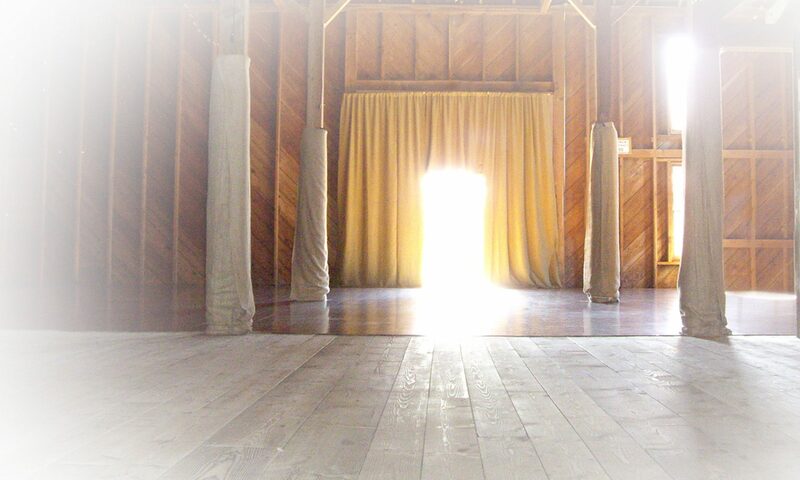 The original timbers and elegant proportions of the barn’s open, airy space create a rich setting for all types of special events, including weddings, art shows and plays, concerts, lectures, workshops, conferences, bar or bat mitzvahs, informal community gatherings and corporate events. The surrounding fields provide an enchanted setting for elegant garden weddings, receptions and special occasions. The Victorian styled farmhouse provides a backdrop for stunning group photos. The upper field provides plenty of vehicle parking, though rideshare is encouraged to help preserve this pristine area. The main floor measures 50′ X 75′ creating ample room for guests to view presentations, meet in small groups, hear lectures or dance the night away. The Crockett Barn’s main floor can accommodate up to 200 guests. A large dance floor provides hours of dancing fun. Stages are available upon request. The downstairs part of the Crockett Barn can be rented also, and has a capacity of 75. It opens onto the lower patio, and has more of an old-world tavern atmosphere. The Crockett Farm has teamed up with Whidbey Island Weddings! The Historic Crockett Farmhouse is also available for lodging. The house features five guestrooms, each with its own bathroom, a library and dining room which guests can enjoy. Dates are reserved on a first to make a deposit basis. Call Kelly Russo at 206-427-6109 or email info@WhidbeyIslandWeddings.com for more details including availability, package options, and pricing. Contact Kelly Russo for tours and event questions.